Hope you all are doing good. So the hottest season is here and the sun is on full energy mode ..and our face is the most to suffer from heavy and long exposure to sun and pollution. making skin look dull, and lifeless and itchy due to sunburn. So here is a lazy crazy DIY solution to beat the heat and stay protected. I know now markets are flooded with these rose water sprays and facial mists ...but instead of using those high-end products with chemical preservatives. You can make your own facial spray that keeps you cool ..and totally with low cost and what can give more satisfaction than your own customized spray. **The usage of rosewater dates back to early Egypt when Cleopatra (yes, Cleopatra) used the natural product in her skincare regime. 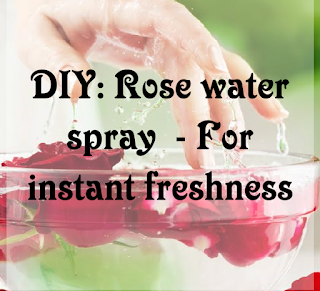 Rose water is undoubtedly beauty's magic potion, and remarkably versatile. So let's know some facts about our most used one. It helps to control excess production of oil from the skin. 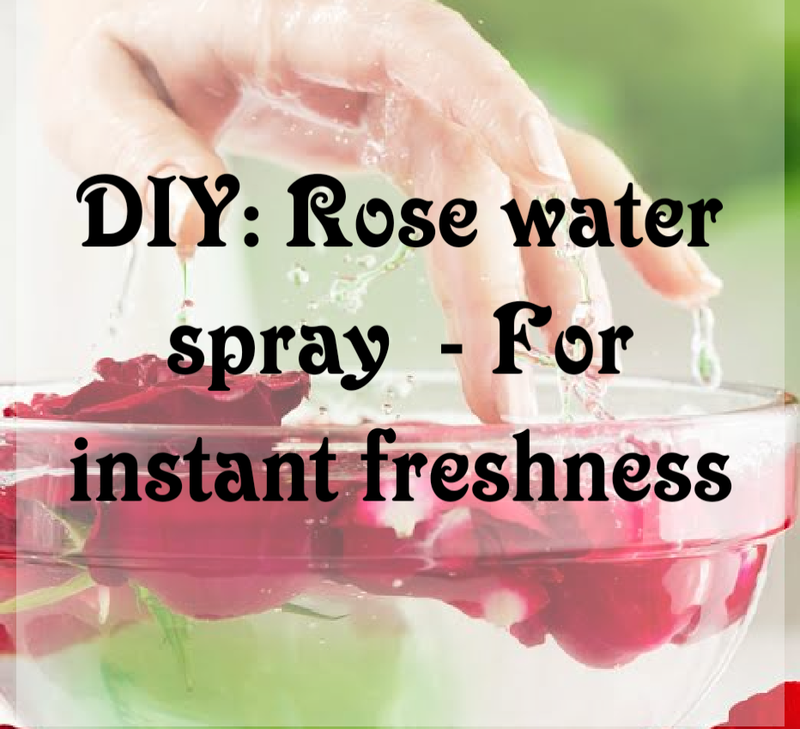 Rose water has anti-inflammatory properties that can help reduce the redness of irritated skin, get rid of acne, dermatitis, and eczema. It is a great cleanser and aids in removing oil and dirt accumulated in clogged pores. It helps to keep skin hydrated. Due to the astringent-like properties, it helps clean pores and tones the skin. It also helps aging skin, keeping fine lines and wrinkles at bay. And its best use as cleanser ..removes all dirt from your skin without any harm. **Aloe Vera is extensively used in beauty products and for good reason. It's got antiviral and antibacterial properties. The translucent gel of aloe Vera is made up of around 96% water, some organic and inorganic compounds, a type of protein which contains 18 of the 20 amino acids found in the body and lastly, Vitamin A, B, C and E.
This is completely optional but if you want extra zing you can add a few drops of your favorite essential oil ..
Make sure you thoroughly clean the spray bottle an d let it dry completely. Depending on your bottle size add 1 or 2 small spoons of Aloe Vera gel . Close the lid of the bottle and shake vigorously until the gel and water gets mixed properly . And keep the cap closed tightly and refrigerate the whole mixture overnight. when ever you are leaving home keep the bottle inside your bag. ** whenever you face feels tired, dirty, or oily just wash your face or clean it with a tissue ..grab your spray shake it and spray it all over your face and let it dry you can feel cool n fresh.